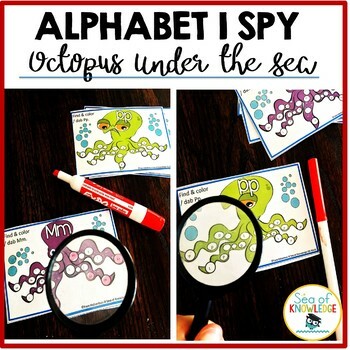 This set of cards help students practice and review the letters of the alphabet in a fun and hands on way! 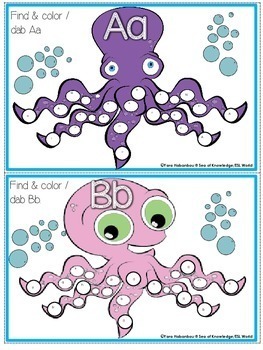 It incorporates fine motor skills which preschool and kindergarten students really need. I used these with my ESL students and they loved them! - A-Z Cards (24) of letter recognition I Spy Cards. 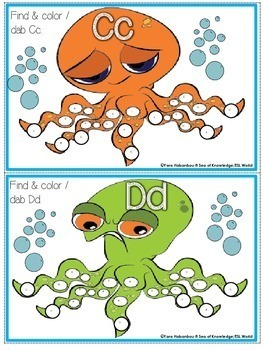 Print the cards on A4 card stock or regular paper. Laminate the cards if you wish. Or you could place them into dry erase laminated pockets. They are so easy to use as they can be used and re-used a number of times. I’ve got a box of these! 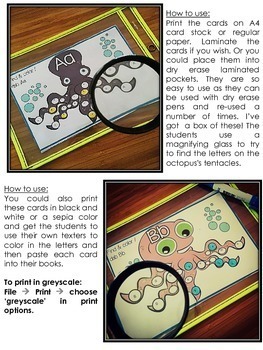 The students use magnifying glasses to try to find the letters on the octopus's tentacles. Click on the PREVIEW to grab the FREEBIE sample from this pack!